I know you love eating pineapples, mangos, or even that amazing acai bowl. But I have to tell you that some of nature’s best candy has a ton of sugar in the form of fructose, and fructose is strongly linked to obesity and Type 2 Diabetes! Fructose is the type of sugar found in fruit. It’s cousin, glucose, is the sugar that is broken down from carbohydrates. Almost every cell in the body can use glucose, but limited cells can use fructose for energy! So, if you eat a bunch of fruit and the fructose energy doesn’t get used up, what the heck happens to it!? Think of fructose as a guided MISSILE to the liver. That’s where it goes once consumed. Since no other organs in the body can receive fructose, metabolizing it can be tough on the liver if it’s consumed in excess. Furthermore, high levels of fructose can cause fat deposition in the liver, which leads to Fatty Liver Disease, which is known to cause insulin resistance. What about the OTHER benefits of fruit? I’m not saying that you need to totally cut fruit out of your diet! Fruits definitely give you a ton of vitamins, nutrients, antioxidants, etc… but that doesn’t mean that fruit should be eaten recklessly without proper portioning. Several decades ago we used to only get between 9 and 15 grams of carbs in the form of fruit several days a week! We have way more than that these days. For example, a single banana can have anywhere from 20-30 grams of carbs depending on the size! 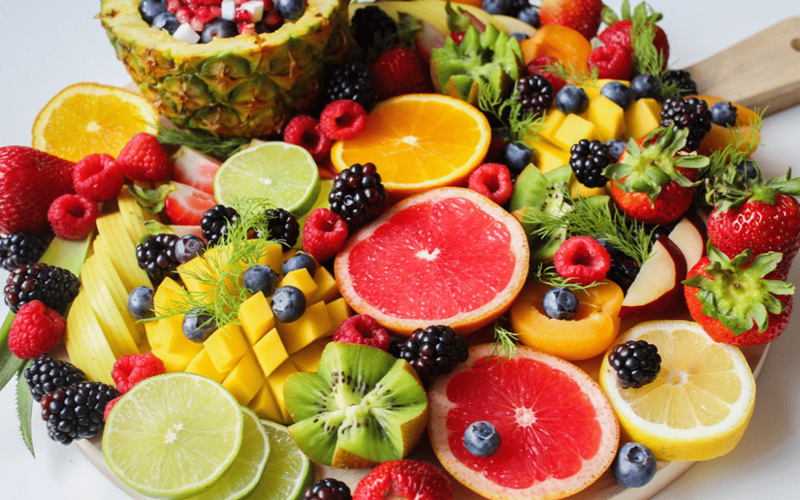 A good practice would be to limit fruit consumption to 2-3 times per week and only eat what is considered to be a proper portion. I find this visual guide to be pretty helpful! So eat your fruit! Enjoy it, but remember the age-old saying… “all things in moderation…”.